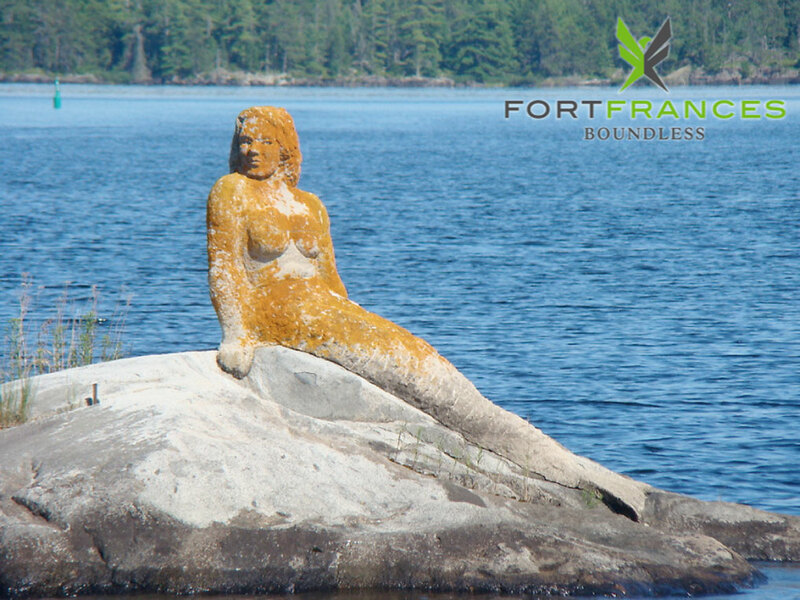 Located in Silver Island Narrows, near Copenhagen Island, the Mermaid, statesque and secretive, is said to watch over the comings and goings of the lake. The statue, truly a work of art, was created by Gordon A. Schlichting, a Minneapolis architect, who spent his summer vacation on Rainy Lake as a student in the 1930s visiting his cousins the Lysnes from Minnesapolis. The Lysne cabin on Copenhagen Island has been in the Minneapolis family dating back to 1905. It is said that Schlichting, a young architectural student at the University of Minnesota at the time created the sculpture instead of doing chores at his uncle’s cabin. As to why a mermaid, it is said Schlichting's uncle Henry liked buxom women so the idea stuck. Schlichting completed the scultpure in three months and went on to be a renowned architect in Minneapolis. He has since passed away (1997), but returned many times over the years to visit his mermaid.